Who doesn't like breakfast burritos? We are going to make these as a fundraiser for our church. Cook sausage: drain and crumble add Taco seasoning. Cook hash browns till crisp and browned. Cook eggs scrambled adding the salt and pepper, then add sausage and hash browns, mix well. 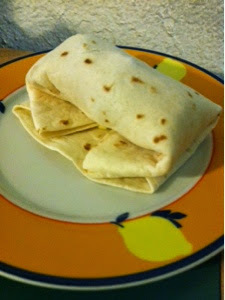 heat tortilla in microwave for 15 seconds to soften, place mixture, cheese, and salsa in middle of burrito and wrap. Serve hot. 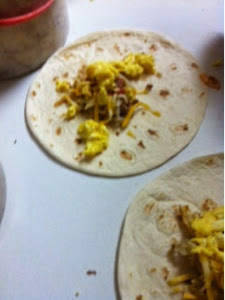 We love Breakfast Burrito's great for one or a crowd. Thanks so much for sharing this awesome recipe with Full Plate Thursday. Hope you are having a great weekend and come back to see us real soon!